It's been a long discussion that iPhone can't support one of the most popular Hi-Res formats. We present you a solution to this common problem. Most audiophiles — people who are crazy about sound quality, have an outstanding hearing and put enormous efforts to be able to listen to Hi-Res music — usually dislike MP3 and other lossy audio formats because they throw away some data from the digital files to save some space. It's really so that these formats remove information, and it makes not only audiophiles but average listeners cry. Indeed, 'Music' used to be a decent native iOS music player. It is an audio player which we would use to manage our music libraries, play our favorite tunes and lately to stream from Apple Music. But to be frank, it's not the top music app ever. 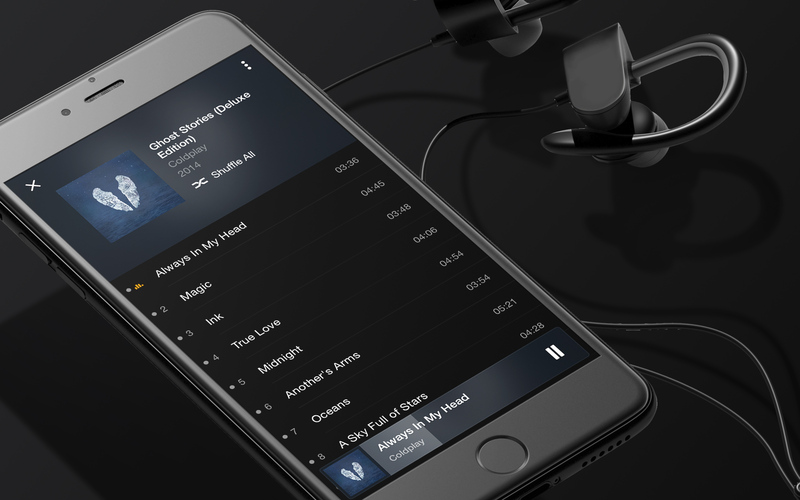 However, lots of people don't know or aren't willing to get to know other audio players that in some ways might be even better than Apple's native one. Have you ever thought that what Apple offers is far from the best app for experiencing the best sound of your favorite songs? Do you reckon your music library can sound better? Sure thing it can! A decent FLAC player for iPhone is no far-fetched dream of yours. Most present-day audio players cannot and most likely won't be able to support Hi-Res music formats. Therefore, we cannot thoroughly enjoy the sound as musician recorded it in a studio. Lots of users don't even anticipate such a thing from a famous technology company; everybody hopes that if the file format is widespread and is catching on, their device will be able to play it. This isn't the case with iPhone and App Store. None of the iOS devices support FLAC format though there is no official cause for it. What's even more, in the iTunes Store you can't purchase FLAC files, however, you can find quite a significant number of ALAC files. ALAC is also a lossless music format, just like FLAC. Roughly speaking, FLAC and ALAC are very alike and can be deemed as clones of each other. Can iTunes play FLAC? The chances are that your iPhone won't even recognize FLAC files because they aren't supported by the native music player. There are several ways that might help you play Hi-Res music (FLAC included) on your iPhone and other devices. This choice might be far more reasonable for those who have an impressive music collection of different formats. Besides, it can be a better solution for those who aren't used to or aren't fans of App Store and iTunes in general. Since FLAC is becoming more and more widespread every day, the number of programs and apps that support this format is steadily growing. We suggest you go for a player that can play a significant amount of both lossy and lossless formats. Our number one is VOX Music Player for Mac & iPhone. The player intends to conduct a revolution in music so that everyone listens to High-Quality music. VOX is a great alternative if you usually convert FLAC to MP3 to listen on your phone. It holds a deserved Grand Prix among music players for Mac OS as well as iOS music apps. It will soon be available to Windows and Android so don't get upset if you use these operating systems, it's just a matter of time. What makes VOX Music Player a great FLAC player for iPhone? The answer is obvious. It is a simple though powerful music player with an intuitive design so even a child can handle it. The playback is at the peak of possible as there are no limitations to the formats (it can play both lossy and lossless ones). The new sound engine with bass-enhancing technology has you believe that musicians are playing just for you, your private solo concert. What differs VOX from other music players for iPhone is that all you have is your collection, and that's about it. The compact interface has everything you need, and what is great is that it doesn't waste much space. As you see, you have access to everything expect from a perfect FLAC player for iPhone from EQ to Last.fm scrobbling, but none of it prevents you from pleasant music listening experience. We realize that Hi-Res music takes up a lot of space on your iPhone. For this reason, the developers created an unlimited cloud for all your music. 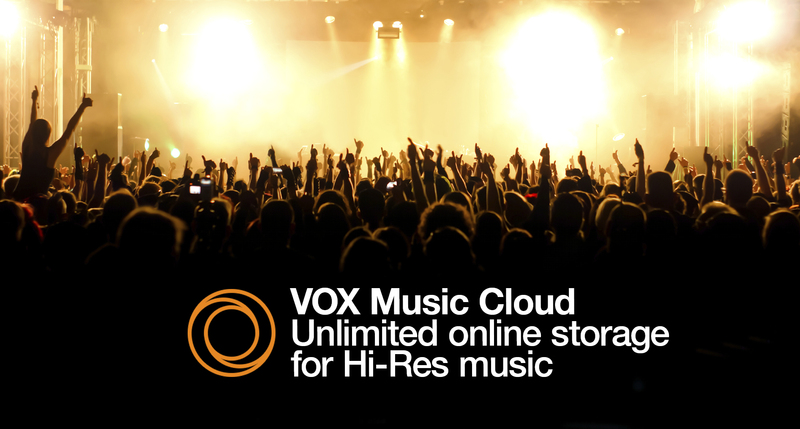 No matter how much music you have or will have in the future – VOX Cloud stores all of it. The main thing about of VOX Cloud is that it synchronizes your music libraries on Mac and iPhone so whatever you have in the cloud is automatically in VOX. As you understand, VOX Cloud is available for VOX Premium subscribers exclusively. It is an ideal music player for music lovers, average listeners and anybody who appreciates quality and functionality. START Uploading your music to VOX Cloud. Create VOX Premium account today. VOX Music Player uses internet data to stream from VOX Cloud, but nothing is compressed or converted. If you upload 4096 kbps 192 kHz FLAC, you are going to hear this exact quality, unlike, say, Soundcloud that converts whatever you upload to MP3 128 kbps. We know that sometimes you might not have internet data. 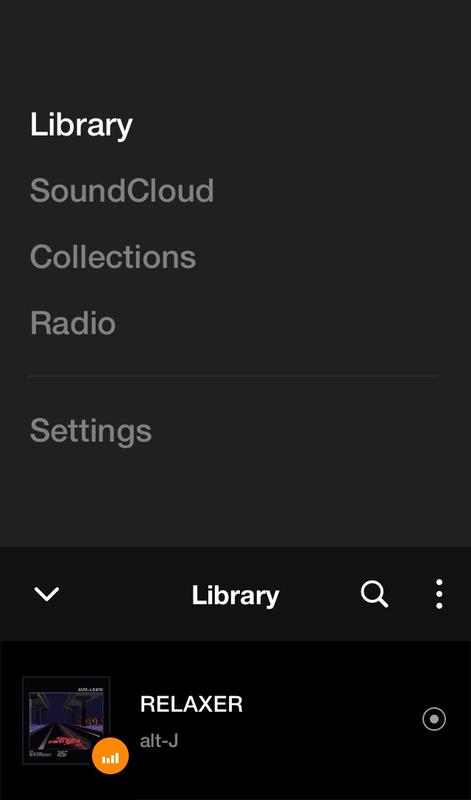 To prevent silence, you can cache songs or albums to listen offline. Moreover, you have SoundCloud streaming, 30,000+ radio stations, and a customizable EQ. The equalizer has several presets for various genres, but anytime you want you can create your set according to your music preferences. All this confirms that VOX Music Player is a great solution if you were seeking a FLAC player for iPhone. The era of average audio players is in the past, and now it’s time you started using VOX Music Player for Mac & iPhone. It plays most audio formats, syncs music libraries on Mac and iPhone, scrobbles to Last.fm and presents the best playback supported by a new bass-enhancing technology. VOX Premium make a perfect combination for all music lovers who prefer a high-quality sound. Say 'no' to Apple: How to put music on iPhone without iTunes? Killing the quality: how to convert FLAC to MP3 on Mac? Where to store music? How is about exclusive Music Cloud Storage? What is the best free alternative to iTunes?